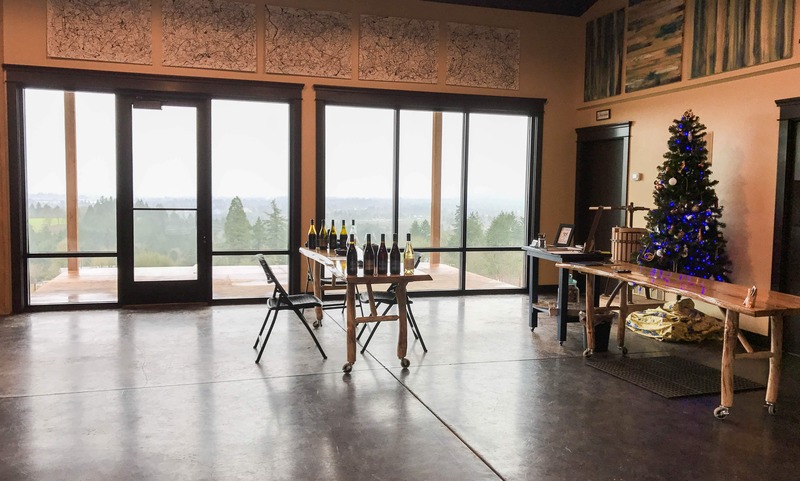 The Willamette Valley differs from its Southern California counterparts in that personal, handcrafted wine takes precedence over corporate, mass-produced labels. Here, large vineyards are complimented by boutique, family-owned wineries and the passion required to succeed in a challenging cool-climate growing region is evident in every person you encounter and wine you taste. 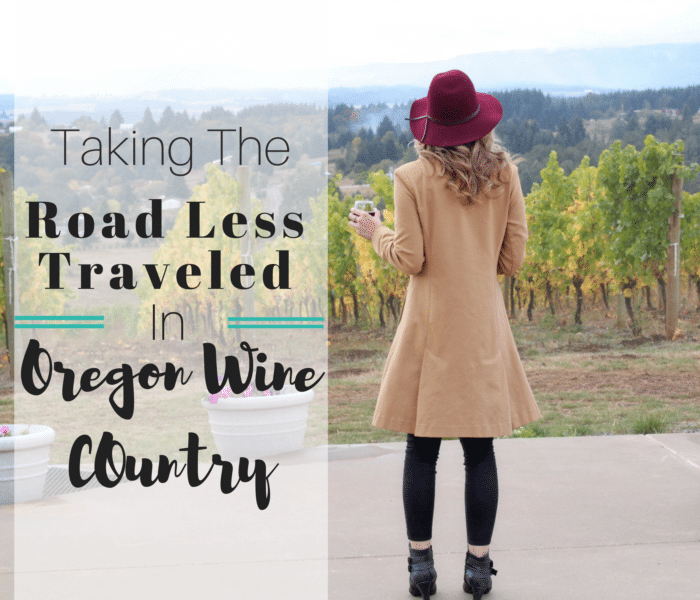 If you’re looking for the quintessential Oregon wine experience, break from the crowds and take the road less traveled. 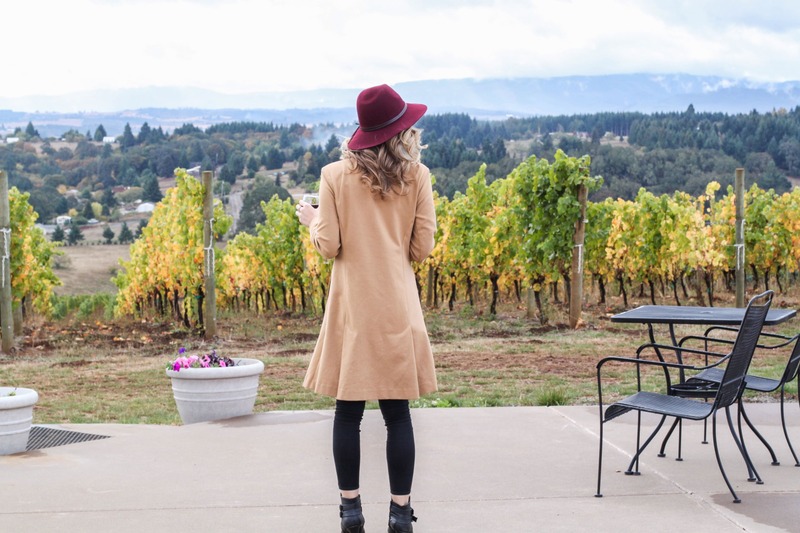 From weekday visits, to boutique wineries to appointment-only tastings, this is Oregon wine country as it’s meant to be experienced. As soon as you turn off Highway 18 and hit Cherry Hill road the asphalt turns to dirt, a slower pace is adopted, and city commotion is replaced by country serenity. Driving the tree-lined road to J. Wrigley Vineyards feels like a scene out of Peter Pan. Dense foliage forms a natural tunnel as the narrow road ascends towards the hilltop. Once you near the “summit,” forest is replaced by miles of Christmas tree farms, adding another awe-inspiring element to the already scenic drive. 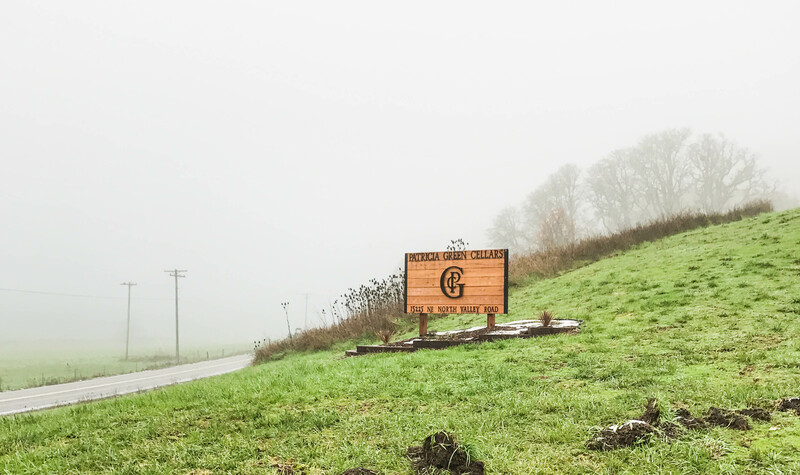 Perched atop a large hill 12 miles southwest of McMinnville, J. Wrigley is one of the furthest vineyards from Portland, making it just far enough to hinder large crowds, yet still be easily accessible. 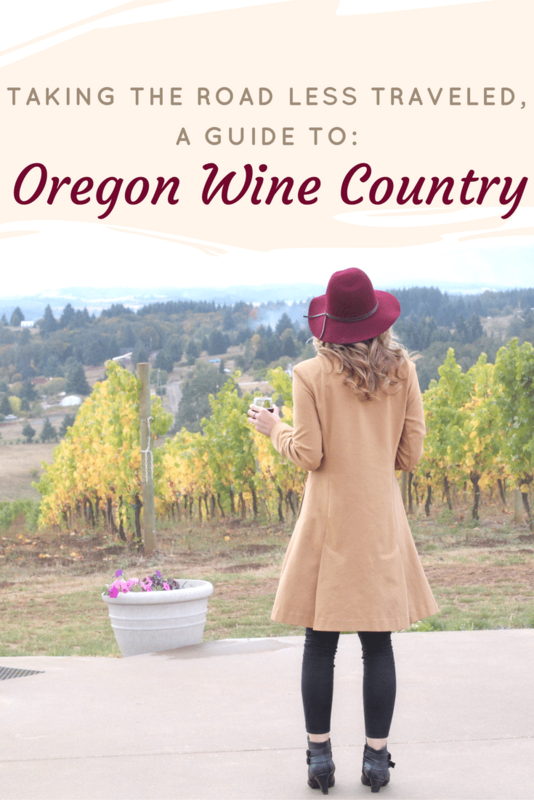 Whenever I visit Oregon Wine Country, I try to visit places I’ve never been. However, J. Wrigley is one that I can’t help but return to again and again. 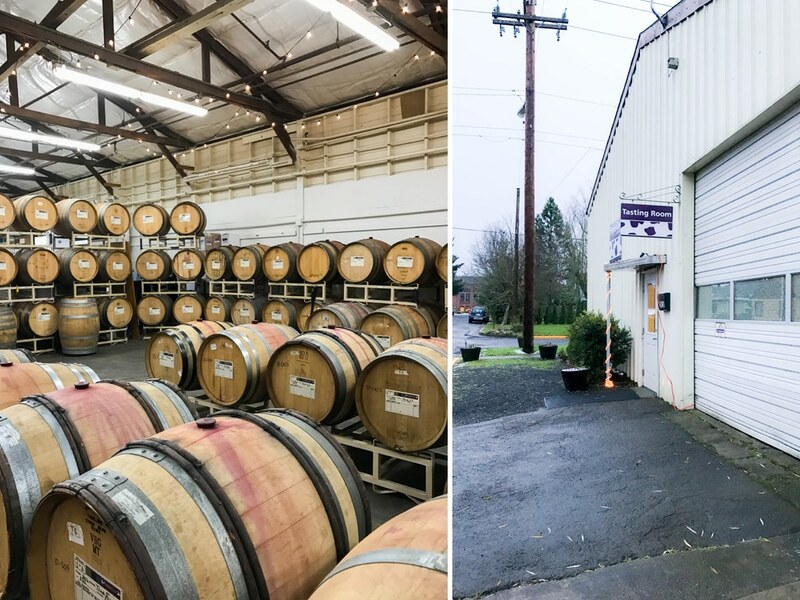 Next time you’re in the Willamette Valley, drive the extra distance to visit J. Wrigley – I promise you won’t be disappointed. 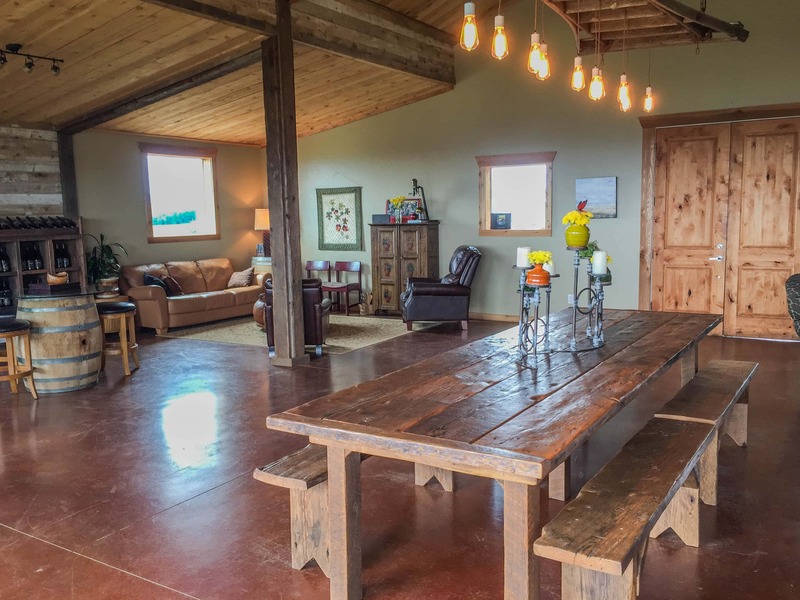 There’s also a bedroom in the tasting room that’s available as a vacation rental on Airbnb, if you want to take your visit to the next level. This has been on my “must do” list for a long time, but it always seems to be booked (secret’s out) – so plan ahead! Ah where do I start? I recently visited Bells Up and was completely blown away by this boutique winery. The wine, the hospitality, the intimate tasting room and beautiful view all formed a tasting experience that I won’t soon forget. Bells Up Winery is always open by appointment. But don’t let the “appointment only” aspect deter you, David (owner and winemaker) is very accommodating and will work with your schedule (I emailed him the day before to make an appointment and heard back in less than 30 minutes). 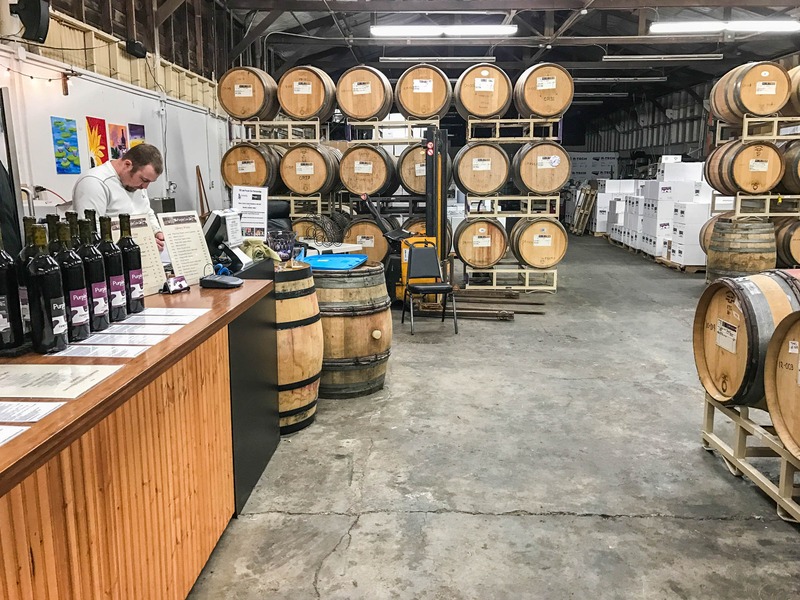 Plus, the benefit of this requirement is that you have the tasting room (and wine maker’s attention) to yourself, resulting in a much more educational and authentic experience. David and his wife Sara completely roll out the red carpet and make guests feel like long lost friends. When we pulled up, David was waiting outside to greet us. After a warm welcome he led us into the tasting room where a table was set and waiting. As David walked us through a tasting of five wines, he told us about his (and the winery’s) inspirational back story, answered questions, and discussed his winemaking and growing processes. I walked away having learned a great deal about the wine and the winery itself. Now, last but not least, let’s talk wine. Omg the wine. I literally loved every wine I tasted (not exaggerating). 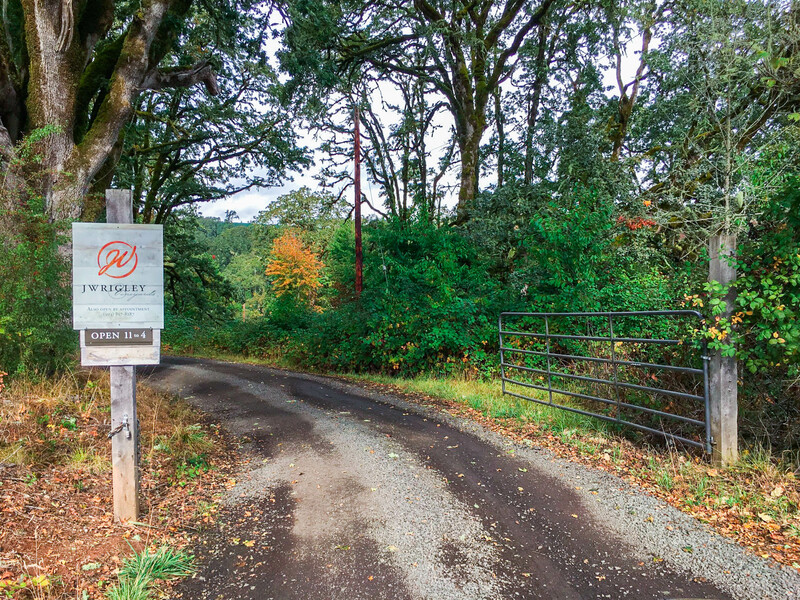 For a new, boutique winery I would argue that David’s wines are on par with any top Willamette Valley wines. I ended up taking home multiple bottles, and will definitely be back for more. 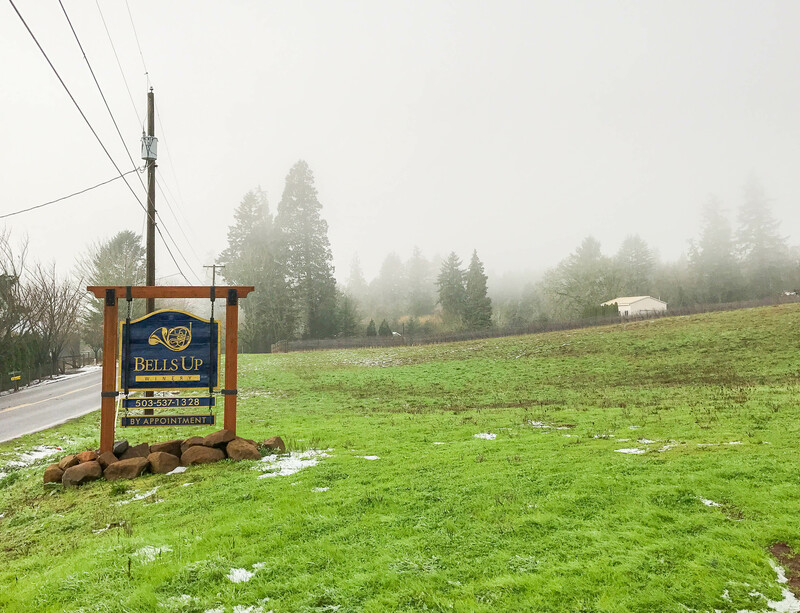 Bells Up Winery is a true hidden gem among the increasingly corporate Willamette Valley wineries and I cannot recommend it highly enough. 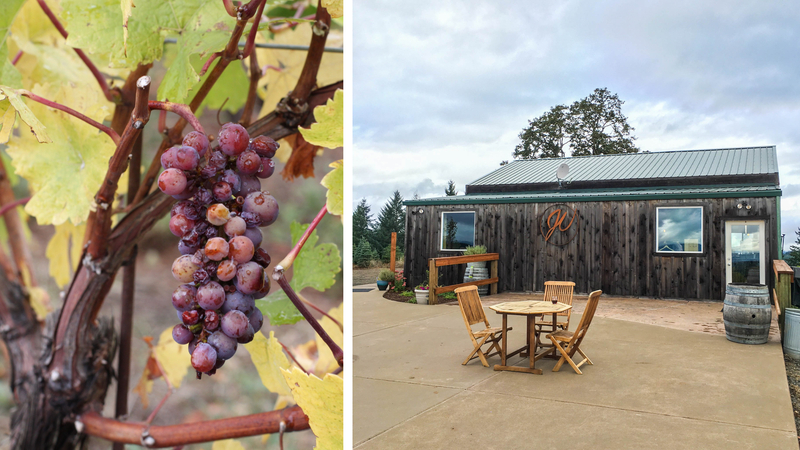 Purple Cow’s winery is located in the town of Newberg, tucked away in a neighborhood a few minutes off the main highway. On the exterior, the winery – initially – isn’t much to look at. However, you’d do well to adhere to the old adage of not judging a book by its cover. 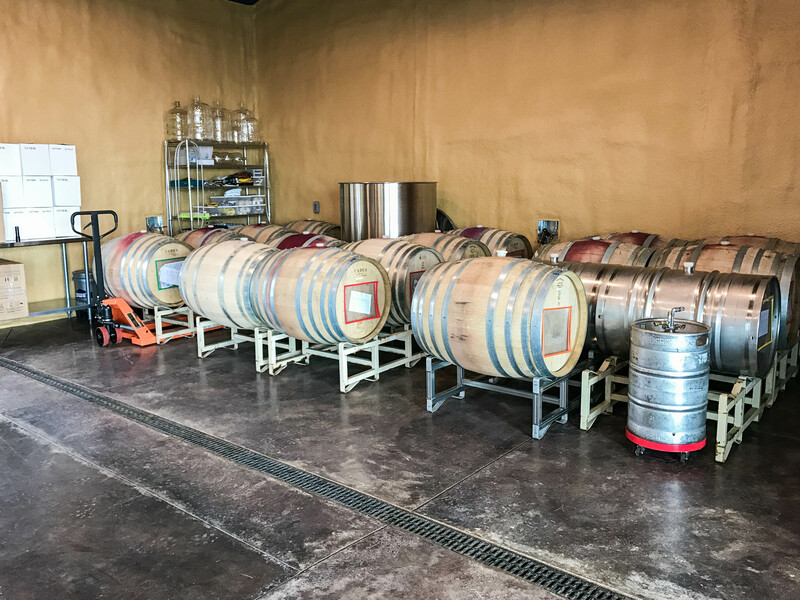 Upon entering the winery, your attention is immediately drawn to the numerous barrels surrounding the tasting bar, and the warm light and homey ambiance is quick to ease any apprehension. We visited late on a Friday afternoon and had the tasting room to ourselves. The winemaker was the one pouring our flight, and while we tasted he taught us a great deal about soil types and grape varietals. In addition to how much I learned during the tasting, one of my favorite things about Purple Cow was the variety of wines they offered. Purple Cow breaks the mold by going beyond Pinot Noir and offering bold reds and uncommon varietals, such as Marechal Foch, Siegerrebe, and Durif (which, I learned during the tasting, is the same as Petit Sirah). I thoroughly enjoyed tasting new wines and comparing different vintages of old favorites. The experience was extremely educational and the wine was exceptional. I ended up taking home a bottle of Bri’s Blend (it literally had my name on it, so I couldn’t resist), a bottle of the 2011 Durif Reserve, the 2012 Tempranillo Reserve and the 2013 Teroldego Reserve. My tasting at Patricia Green Cellars was memorable because it holds the record for the earliest I’ve ever gone wine tasting. 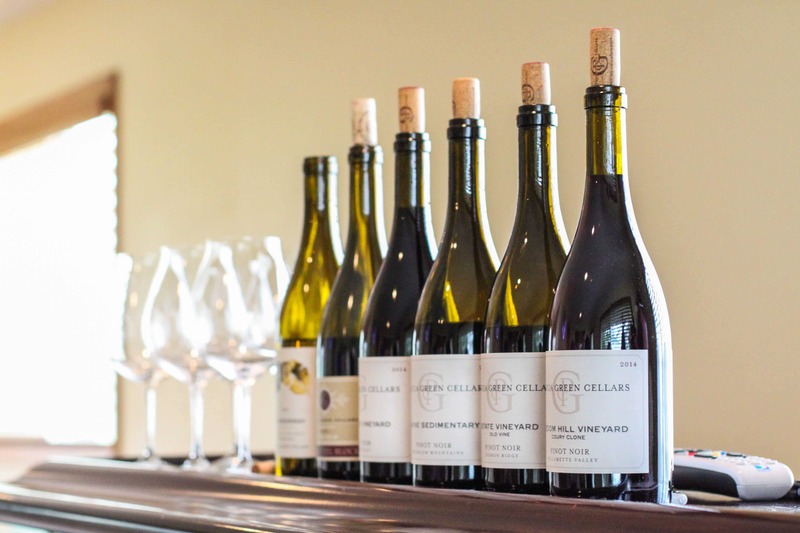 Patricia Green Cellars is open to guests by appointment only, and they offer three appointment slots daily: one at 10am, 11:30am and 2:30pm (which need to be booked in advance). I scheduled a tasting for the 10am appointment slot and laughed to myself when I left the hotel at 9:30 in the morning to begin a day of wine tasting (in the past, any wine I consumed prior to 12pm was bubbly and had orange juice in it). When we arrived, the winery was on the right and there was a house on the left. Thinking the house was someone’s home, it felt a little strange to knock on the door at 10am. However, upon entering I realized the house was used for the tasting room and offices. We did our tasting from the couch, and immediately felt comfortable in the homey environment. 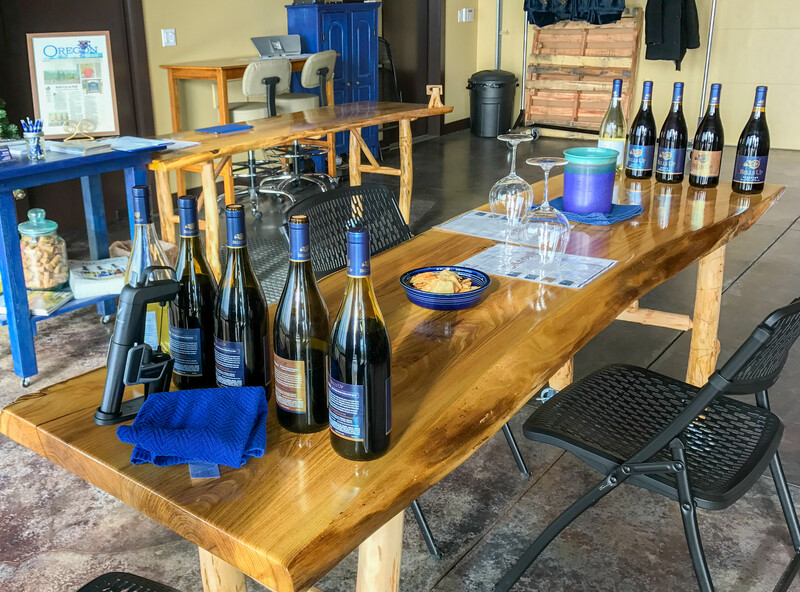 During the private tasting, we tried five pinot noir’s and one chardonnay. The wines were excellent, and as we tasted we learned about where the grapes were sourced (whether on the property or from other vineyards), and the growing process. I ended up leaving with the 2014 Pinot. In conclusion, taking a little extra time to setup an itinerary and book these “appointment only” tastings was well worth the effort. 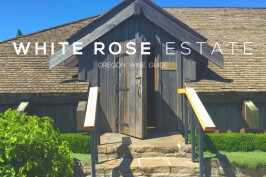 I highly recommend you check out these “hidden gems” the next time you venture through the Willamette Valley! I love going to wineries that are off the beaten path. Have you been to Torii Mor in Dundee? I’m a big fan! What a great list, I look forward to visiting all of them! 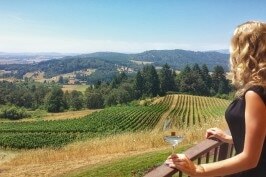 I loooooove wine tasting and checking out vineyards, but I’m new to it and have only stuck around Washington. This is so awesome! I can’t wait to go try some of these places! I need to go wine tasting in Oregon! It looks like such a fun experience! I love wine, and really enjoyed your writing. I love wine tasting, too bad can’t at the moment, sigh! We have been to quite a few in Oregon actually, thanks to our close friends in Portland, will have to check these out next time. I love both the Willmette Valley and the Sonoma County wine industry and wine regions! there are still a ton of small family owned vineyards in California where nothing is mass produced- I worked in family owned vineyards who were in no way corporate or mass produced for 10 years in California (Sonoma County-Dry Creek Valley, Russian River and Alexander Valley)-most of our neighboring wineries were also family owned and by no means mass produced. 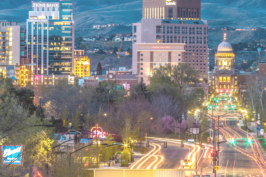 You can find corporate and mass produced wines in every state on the West Coast now (my how things have changed over the past 20 years) but the small wineries still hang on and we’re glad they do!